In an agreement with the City of Cleveland Heights, Home Repair Resource Center facilitates applications for the City’s Down Payment Assistance Program. The program provides up to $10,000 to income-eligible buyers of one- and two-family homes throughout the city. 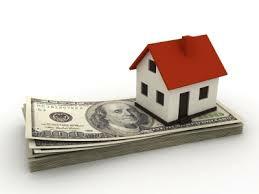 Program details and requirements can be found on the Down Payment Assistance Fact Sheet. Note that applicants must receive certification of completion of pre-purchase and home maintenance counseling from a H.U.D. approved agency. HRRC is one of the agencies that distributes certificates after completion of our Home Buyer Education Series. Interested buyers should print out the Application Form and Lender’s Checklist and take the forms with them to their lender. The buyer’s first-mortgage lender will submit the completed forms to HRRC for processing.